Violetta is a courtesan who throws the best parties in Paris, but one night, while guests enjoy her glittering salon, she is confronted with the love of the young Alfredo Germont. She is forced to make a difficult decision: will she sacrifice everything she has accomplished for love? Violetta follows her heart, escaping Paris with Alfredo. When the realities of family, love, life, and death catch up with the young lovers, though, Violetta is again confronted by difficult truths and heartbreaking choices. 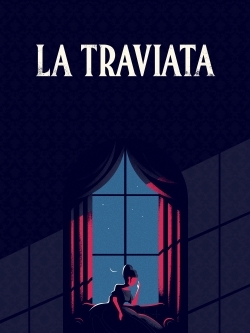 Filled with glorious melodies and complex characters, La Traviata will take hold of your heart and never let go.